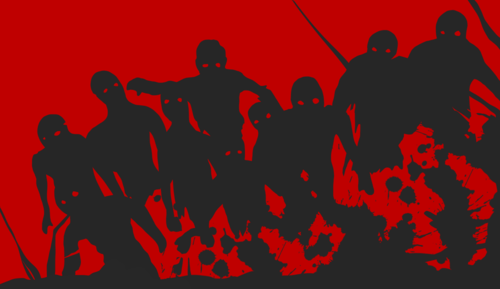 Out of the darkness and cold of winter, a new dawn is emerging: yes, Season 4 of Zombies, Run! will be launching this Spring! When Zombies, Run! launched, there were only 23 story missions, 7 supply missions and a handful of Radio Abel clips to entertain all 5000 of our early-adopting super-fans. Three years later, we’ve released over 150 missions to over one million players. No matter how thrilled we were at the success of our Kickstarter, we could never have imagined this. And we certainly couldn’t have imagined that we’d still be going, preparing for our fourth season. But numbers only tell part of the story. What’s really important to us is knowing how Zombies, Run! has motivated so many of you to keep walking, jogging, and running, despite all the odds – and how much you love the characters, the world, and the game we’ve created. So this year, we’re going back to basics. We’re taking what’s great about Zombies, Run! and making it even better.